DULLES, Va.Jul. 12, 2014-- Orbital Sciences Corporation (NYSE: ORB), one of the world s leading space technology companies, today announced it is in final preparations to launch the company s AntaresTM rocket carrying its CygnusTM cargo logistics spacecraft destined for the International Space Station (ISS). Pending completion of final vehicle testing and acceptable local weather conditions, the launch will take place on July 13 with lift-off targeted for 12:52 p.m. EDT. 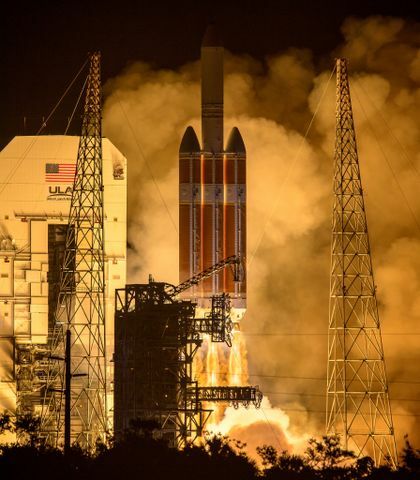 The launch will originate from the Mid-Atlantic Regional Spaceport located at NASA s Wallops Flight Facility in eastern Virginia. The Antares medium-class rocket will boost the Cygnus spacecraft into a targeted orbit of 125 x 185 miles (200 x 300 kilometers) above the Earth, inclined at 51.6 degrees to the equator. Following in-orbit activation and testing after launch, Cygnus will rendezvous and berth with the ISS on July 16 at approximately 6:39 a.m. EDT. Live coverage of the Antares launch and Cygnus berthing with the ISS will be available on NASA Television at http://www.nasa.gov/ntv. With the first operational mission successfully completed earlier this year, we are now focused on regularly scheduled cargo delivery flights to the Space Station to support NASA and the astronauts who are carrying out vital research every day, said Mr. David W. Thompson, Orbital s Chairman and Chief Executive Officer. Our team is focused and ready to execute another successful mission that will deliver necessary supplies to the crew aboard the Station. For the Orb-2 Commercial Resupply Services (CRS) mission, the Cygnus spacecraft is carrying 3,669 pounds (1,664 kilograms) of supplies to the Space Station, including science experiments to expand the research capability of the Expedition 40 crew members aboard the orbiting laboratory, along with crew provisions, spare parts and experiment hardware. Also onboard are 32 CubeSats, hardware for Japan s JAXA Space Agency and numerous student science experiments. This mission, together with future Cygnus flights, will ensure a robust national capability to deliver critical research equipment and samples to orbit, significantly increasing NASA s ability to conduct new scientific investigations in the only laboratory in microgravity. Under the $1.9 billion CRS contract with NASA, Orbital will use Antares and Cygnus to deliver up to 44,000 pounds (20,000 kilograms) of cargo to the ISS over eight missions through late 2016. For each mission, NASA will manifest a variety of essential items based on ISS program needs, including food, clothing, crew supplies, spare parts and equipment, and important scientific experiments. 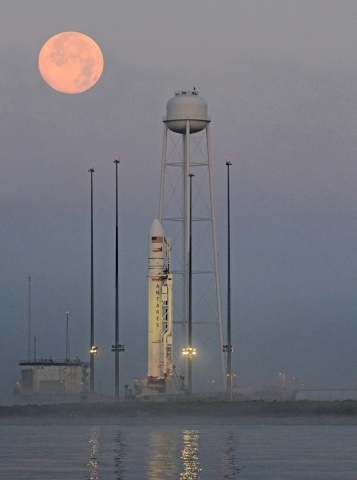 Orbital developed the Antares launch vehicle to provide low-cost, reliable access to space for medium-class payloads. 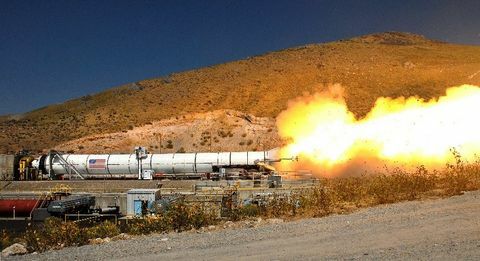 It is the largest and most complex rocket the company has ever produced. Under the Commercial Orbital Transportation Services (COTS) joint research and development initiative with NASA, Orbital also developed the Cygnus spacecraft, which is an advanced maneuvering vehicle that meets the stringent human-rated safety requirements for ISS operations. Together, these products showcase Orbital s ability to apply rigorous engineering approaches and commercial business practices to significantly shorten development timelines and lower operational costs of sophisticated space systems as compared to traditional government-run programs. The Antares medium-class launch vehicle represents a major increase in the payload launch capability that Orbital can provide to NASA, the U.S. Air Force and commercial customers compared to its heritage small-class space launch vehicles such as Pegasus, Taurus and Minotaur. The Antares rocket can launch spacecraft weighing up to 14,000 lbs. (6,400 kg.) 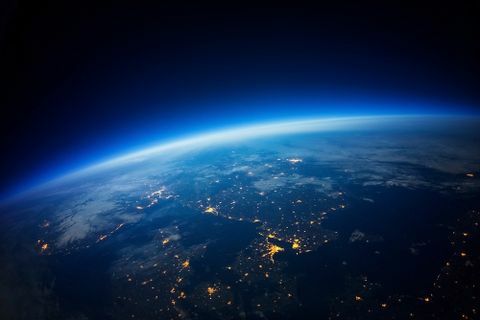 into low-Earth orbit, as well as lighter-weight payloads into higher-energy orbits. Orbital s newest launcher has completed three successful missions and is currently on-ramped to both the NASA Launch Services-2 and the U.S. Air Force s Orbital/Suborbital Program-3 contracts, enabling the two largest U.S. government space launch customers to order Antares for right-size and right-price launch services for medium-class spacecraft. For more information on Antares, visit http://www.orbital.com/SpaceLaunch/Antares/.